This February, you don't have to break the bank to have a great time with the kiddos! Here are 20 great ideas for activities and outings in Marin and the Bay Area in February, all of which are free. Keep in mind some of these activities require advance registration, so check before you go. Celebrate Chinese New Year with the Chinese Dance Team, Larkspur Library, February 2, 1–2 pm. 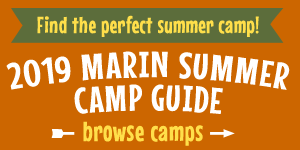 Explore a Marin County Park for free. February, 2, 7 am–7 pm. Fun for the entire family at the free Super Bowl Party, Sweetwater Music Hall, Mill Valley, February 3, 2 pm. Admission to the Bay Area Discovery Museum is free on the first Wednesday of the month. February 6, 9 am–5 pm. Enjoy the thrilling Red Panda Acrobats in celebration of Lunar New Year!, Belvedere Tiburon Library, February 7, 4–5 pm. Celebrate love at the Saint Valentine's Festival, Marin Country Mart Farmers Market, February 9, 9:30 am–2 pm. Meet the players at Giants FanFest 2019, AT&T Park, San Francisco. February 9, 10 am–3 pm. Go feed the animals at Tilden Park's Little Farm, Berkeley. Magician Spencer Grey brings dazzling visual illusions and magic to the Mill Valley Library. February 10, 11 am–noon. Make a Valentine at the Mill Valley Library, February 13, 2:30 pm–4 pm. Sing and Dance with Miss Kitty at San Rafael City Hall, February 15, 10:30–11:15 am. Celebrate Lunar New Year with the Red Panda Acrobats, Belvedere Tiburon Library. February 15, 4–5 pm. Learn How to Pier Fish, Paradise Beach Park, Tiburon. February 17, 10 am–noon. Celebrate Lunar New Year with the Chinese Lion Dancers, San Anselmo Town Lawn. February 17, 11–11:20 am. Nature for Kids hike at Indian Valley Preserve for families, Novato, February 19, 10 am–1 pm. Watch Charlotte's Web, a heartwarming tale of love & friendship, on the big screen, San Anselmo Library, February 19, 1–2:30 pm. Family hike with Park Interpretive Specialist Ranger Dave to Montini Preserve Trail, Sonoma, February 24, 12 pm. Enjoy popcorn and a free movie, Disney's Frozen, Sausalito Library, February 27, 3 pm.